As a chocolate lover it’s a real joy to write this blog, particularly as the answer is yes, chocolate can be good for you. However, there is a caveat: the type and quality of the chocolate you choose is very important. To deliver any health benefits the chocolate you eat needs to be high in chemicals called polyphenols. These are chemicals found in plants that act as antioxidants, protecting the body from disease and damage. The higher the percentage of cocoa solids in the chocolate, the more polyphenols it contains. 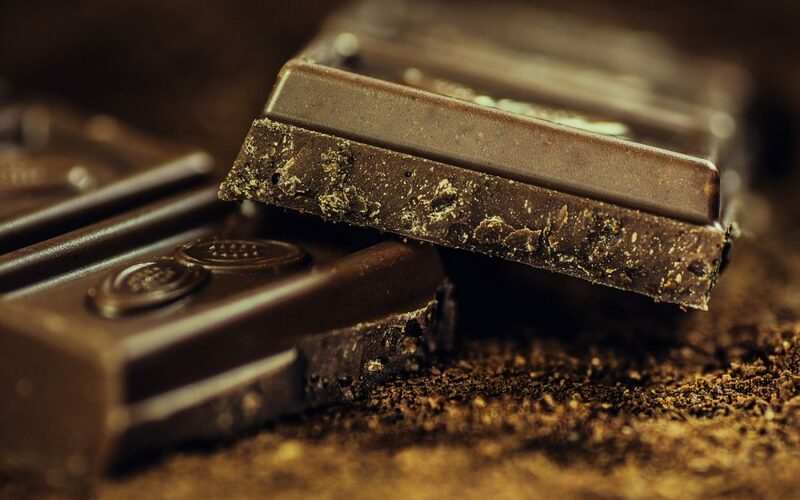 A typical high street chocolate bar, particularly milky chocolate and white chocolate, can be entirely lacking in polyphenols, and in fact, chocolate bars that are loaded with sugar and saturated fats can have quite the opposite of the desired health effect. The polyphenol in dark chocolate that is most widely researched is called epicatechin. Levels of epicatechin in the blood have been shown to improve blood flow in the cardio-vascular system which is good for your heart health. It’s also been linked to reducing age-related cognitive decline and reducing the risk of Alzheimers Disease. A portion of polyphenol-rich chocolate can lift mood. One interesting study published in June 2018 compared the impact on mood between eating chocolate and eating crackers, and found that chocolate won hands down, adding that the experience was particularly enhanced when the partipants ate the chocolate mindfully. That means eating slowly (maybe melting the chocolate on the tongue), and thoroughly enjoying the experience. This also may seem hard to believe, but eating a small amount of dark chocolate daily may actually reduce your risk of type 2 diabetes. This, research shows, is because it can increase your sensitivity to the hormone insulin, which lowers blood sugar. My personal favourite are Hotel Chocolat 70% dark chocolate batons. They are dairy free, so also suitable for a vegan diet. We include dark chocolate on our tasting tables, typically at least three different strengths for you to try. For more information please click here.